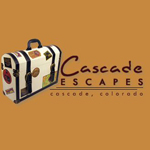 The lodgings in the Ute Pass Communities provide a "base camp" centrally located to take advantage of Colorado's best attractions and activities. Because you want your stay to be more intimate but with hotel comforts. 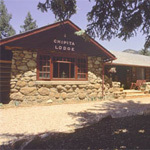 B&B lodge at Pikes Peak. 6 rooms, private baths, luxury suite, tub for 2,fireplaces, hot tub, 3 course breakfast. Family reunions, weddings, retreats, romantic getaways. 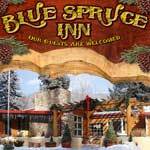 Unique mountain getaway with private deck & hot tub in the pines at the foot of Pikes Peak. Near Hiking and all attractions. Perfect for honeymoons/anniversarys. 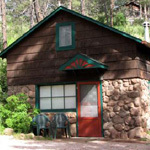 A historic log & stone lodge conveniently nestled in the shadow of Pikes Peak. Outdoor hot tub. Cabins also available.